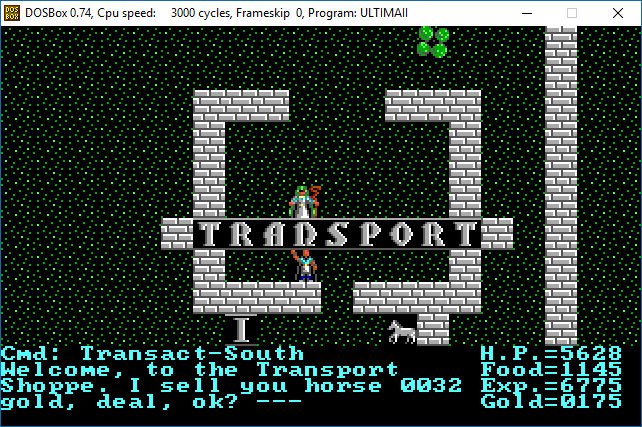 It appears there is a bug in Ultima 2 that has to do with vendor prices as a player approaches maxed stats. Both Charisma and Intelligence affect shop prices such that higher values should lower vendor prices. This is fine until a certain point, but after your stats are raised above a certain threshold it appears that prices skyrocket again. 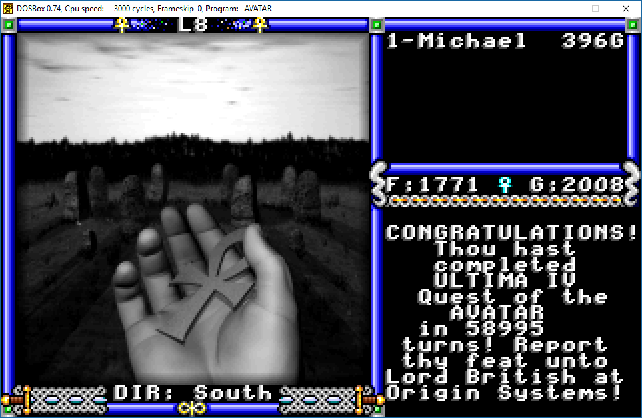 Seems like there are lots of peculiarity with stats in Ultima 2, but this time this one was introduced by me. There is currently an exploit where it’s possible to max out your stats without spending any gold. This one was reported to me by a user of the upgrade.